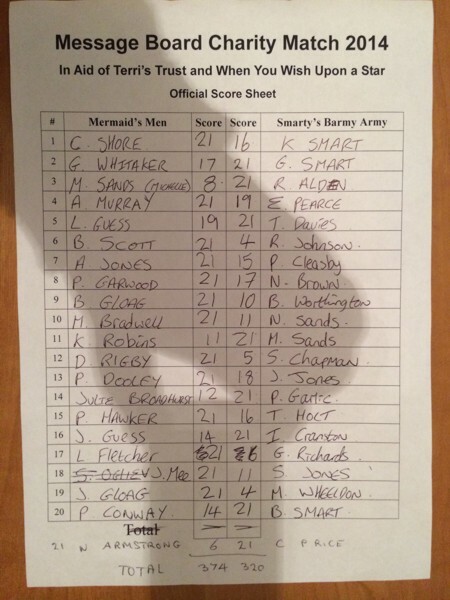 Mermaid´s Men Vs Smarty´s Barmy Army - Easter Monday, EVERY YEAR! Which Charity? 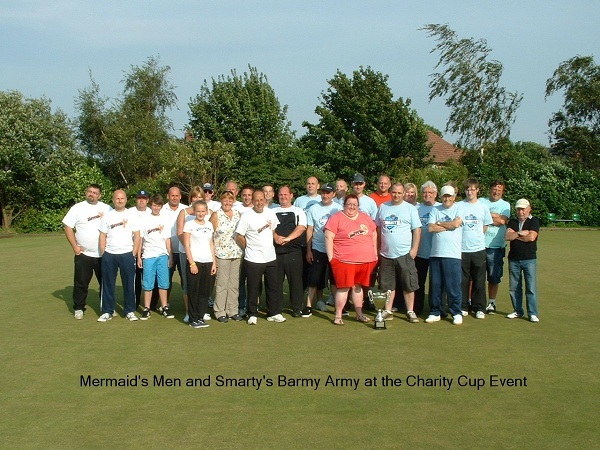 The charities set to benefit from this event are chosen each year by the team captains. How Much? The cost of entry for this event is a minimum of £5.00 per player. No Maximum! After the success of the 2011 event, we couldn't not do it again. Furthemore, we decided that we would set it stone to be held on the 2nd Sunday in September, every year! 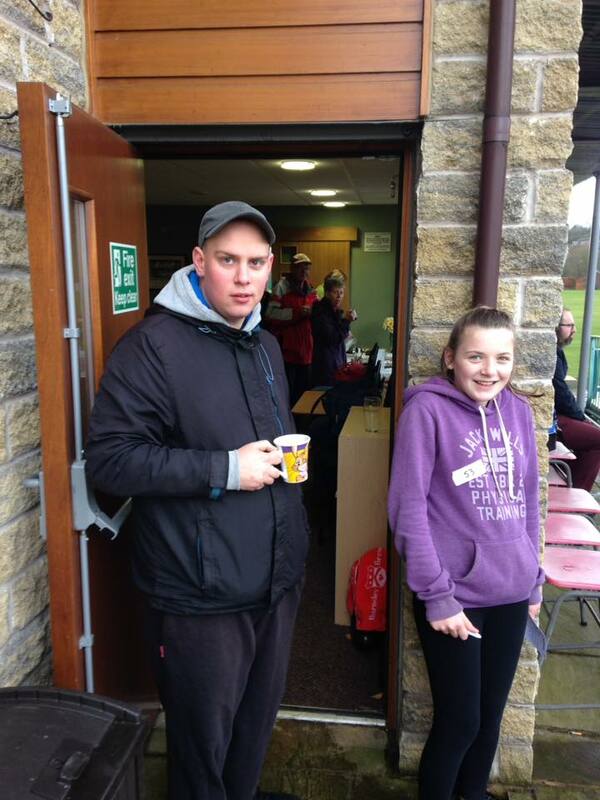 Light refreshments will be available throughout the day along with hot and cold drinks. 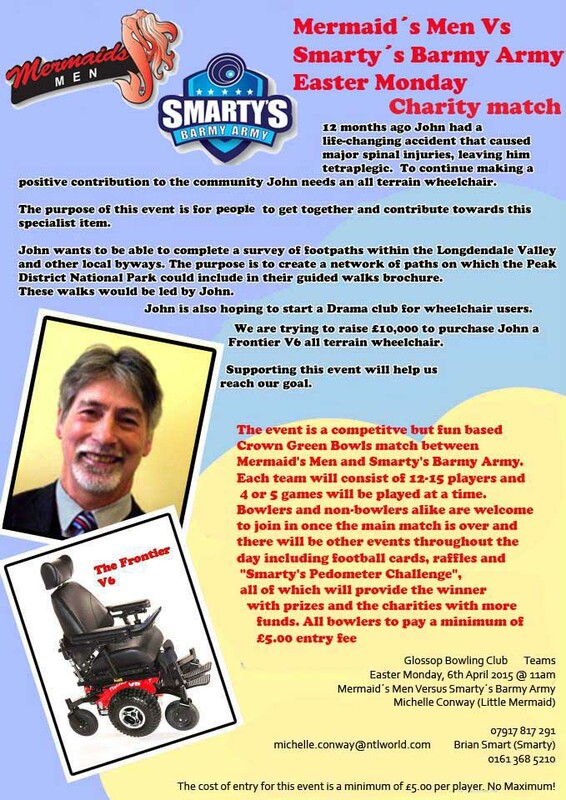 Your support for this event would be greatly appreciated and if you would like to help in any way then please contact Brian Smart using the details at the bottom of this page. 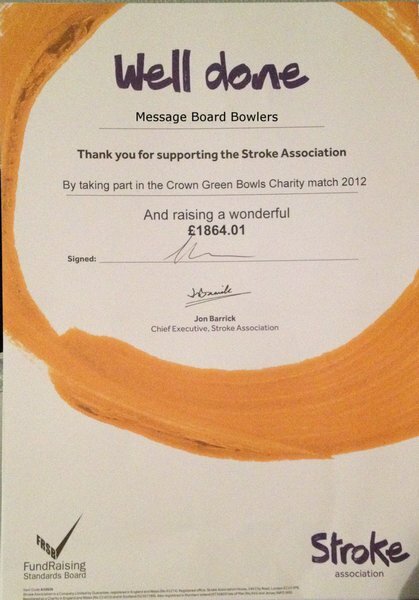 This has been quite successful although it was only undertaken by two bowlers in 2014 but together it raised £70. Can you imagine if every bowler did the same? 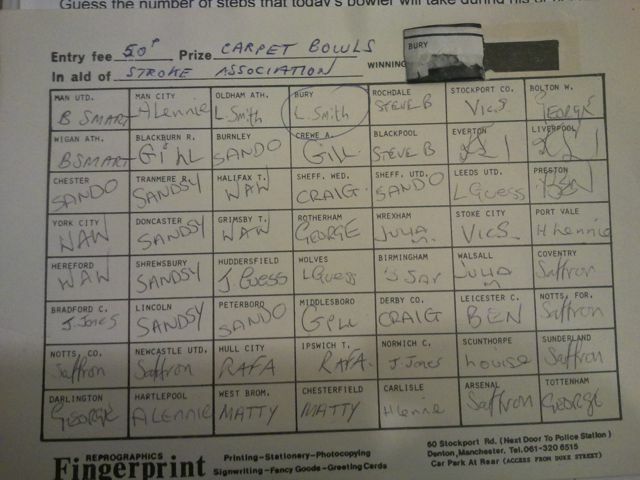 40 bowlers, £35 per bowler = £1400!!!! 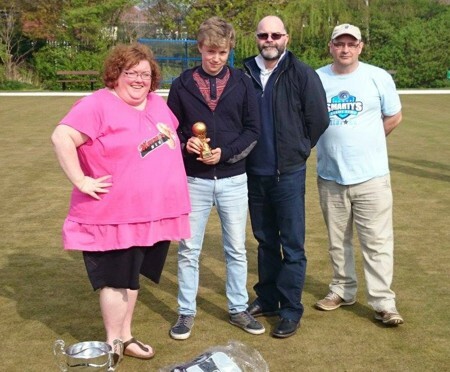 If you are taking part as a bowler this year, then please download the sponsorship form and ask your friends, workmates and family to sponsor you on a penny-per-point basis. It's simple; They pledge any amount from 1 penny for every point you score in your game on the day. If you win, the most it will cost them is 21p. Get 10 people to sponsor you and it's worth £2.10 or get 10 people to sponsor you at 10p per point and you could personally contribute £21 to the charity and it would only cost your mates £2.10 each! Don't turn up with empty pockets on Easter Monday! There are very many great prizes to be won in our various money-spinners. 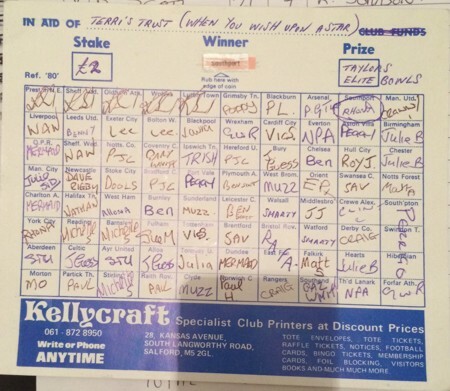 We have star raffle prizes which are always quite valuable but they are not always won by simple and somewhat boring raffle tickets. 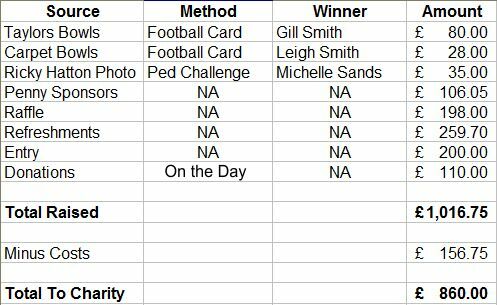 We have the "Pedometer Challenge", Football cards, "Nearest the edge", and oh yeah, raffle tickets. You'll be contributing to a great cause and it's a pretty safe bet that you will enjoy your time on the day. At our 2014 event, we were very grateful to see our fund raised by a further £250 thanks to the generosity of United Utilities. 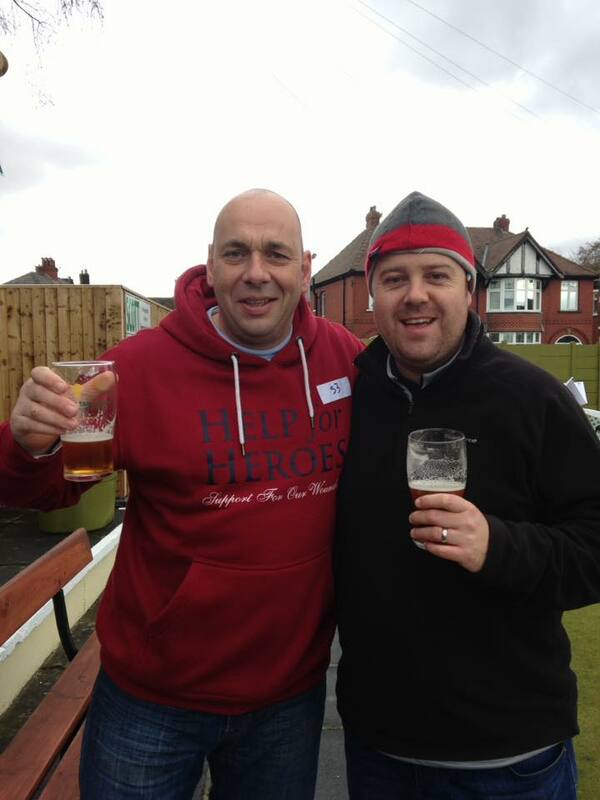 They donated £250 as a raised-funds match thanks to the request from Pete Conway. Maybe your boss will do the same but if not, at least you asked. 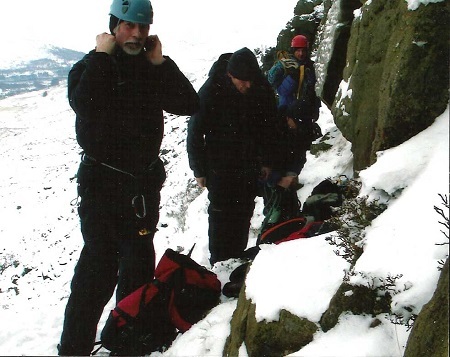 For every year that we hold this event, so brings new members, fun times, and very much a sense of humble awareness of how others suffer terrible life-changing events, circumstances and conditions. We hold this anual event because we genuinely want to help as best we can those who are suffering at the hands of illness and fuundraising is one of the ways that we can help. Michelle and I are truly grateful to the members who support this event either in person, by donation, by helping or (all of the above). Thank you. 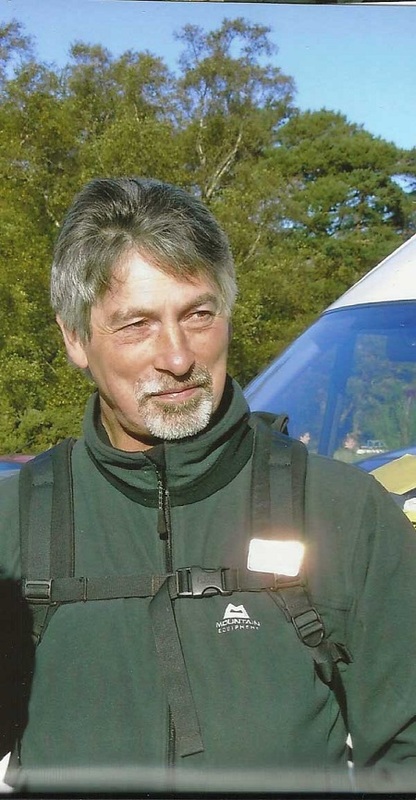 Unfortunately, as the day drew to a close at the end of the 2016 event, Pete and Michelle were called away as Pete's mum was desperately ill and sadly, later passed away. In memory of Pete's mum Ann Conway, and all the others we've loved and lost, here is a simple video that caputures some of the history of this event. After a great day at Glossop in 2015, we were delighted to be able to hold our event there again this year in 2016. We invite all our friends to suggest charities or personal fundraising projects but we remind everyone that it is our aim to raise money either for or on behalf of those that support the event each year. It is for this reason that we have chosen the beneficiaries that we have in previous years and why in 2016 we have selected the Christie. 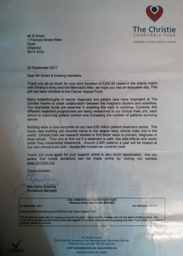 One of our own, 'Vic Sands' sadly passed away due to cancer and it is in his honour that we chose to donate to the Christie this year. 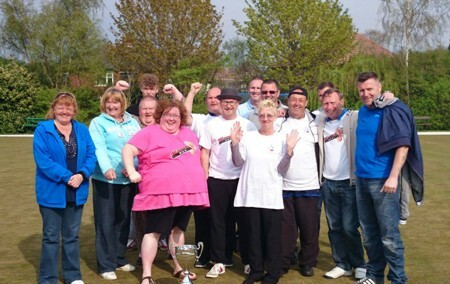 Vic's Wife and family have been at this event every year and also for the years previously when Michelle Conway was organising charity matches. It truly is an honour to remember Vic and honour him and his family, Michelle, Daniel, Natasha and Matthew. We are extremely lucky and thankful that our events are supported by so many people and I personally feel as though I can never thank everyone enough for their part. 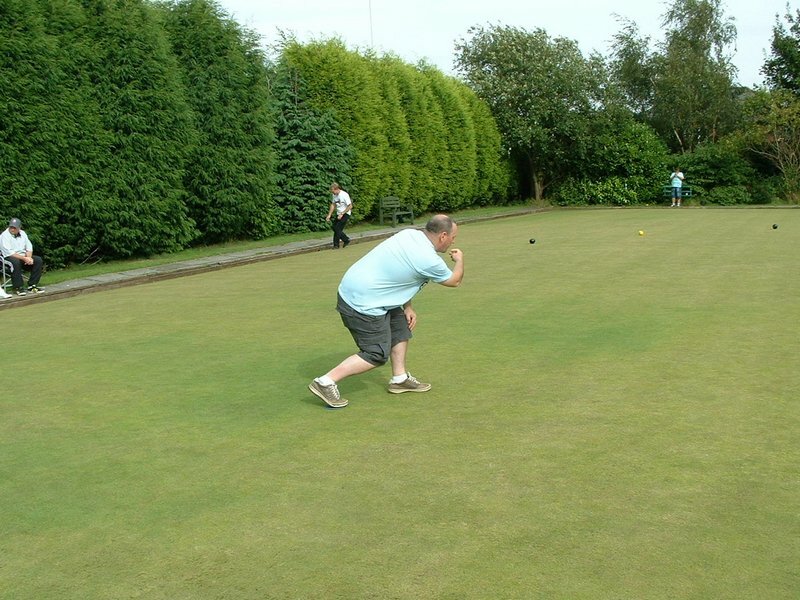 Glossop Bowling club, it's members and committee, the ladies that served us with food and drinks all day, the Greensman and of course Andy Dawson. 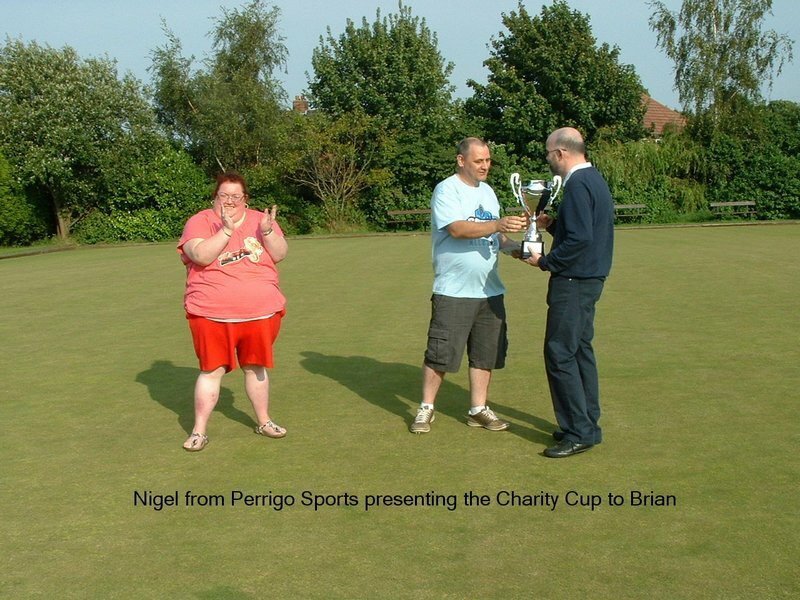 Nigel and Perrigo Sports who have been very generous every year with the continued support of this event providing us with the trophies and star raffle prizes. The attendees on the day who donate so generously and those members that can't make it on the day but make a donation anyway. Our little helpers, those that help Michelle and myself by selling raffle tickets, football cards, Pedometer Challenge etc. It truly is a combined effort and we are both very grateful to everyone for their help and generosity. 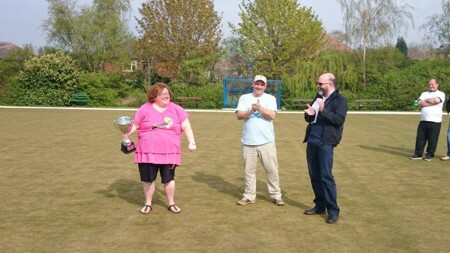 Michelle and Pete Conway, the originators of the charity match, a very big thank you to you all. John Owen is the father of one of our most avid supporters, Amber Bonnelli. 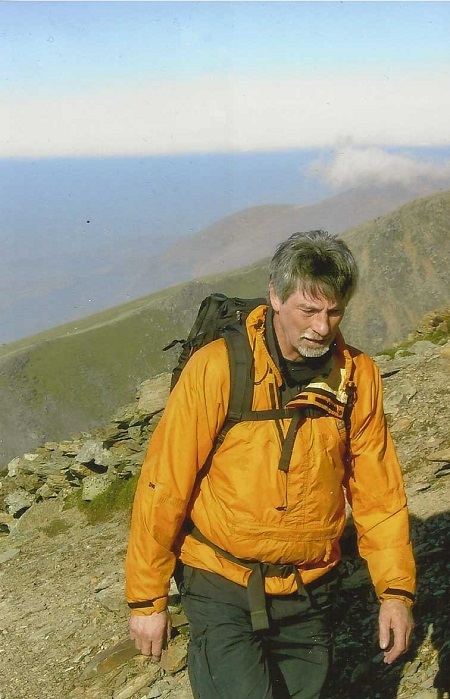 John was critically injured after a fall in 2013 which has left him Tetraplegic/Quadraplegic and the purpose of our contribution this year is to help raise the much needed funds for the purchase of an all-terrain wheelchair so that he can carry on his work in the Park Ranger service in the Peak District National Park where he will lead guided walks for disabled people. 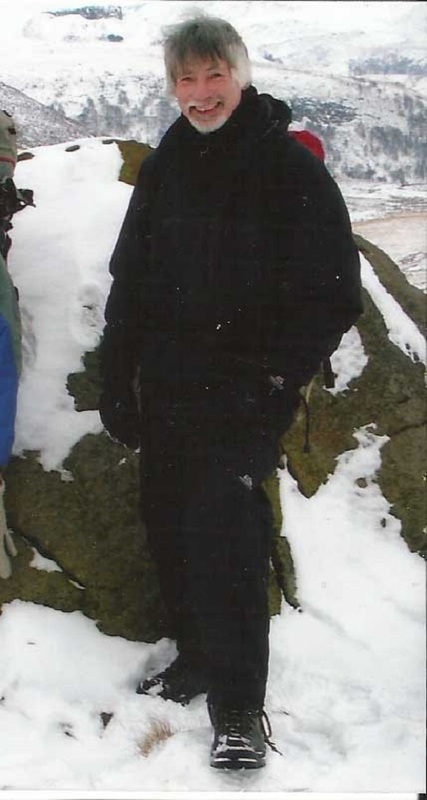 He worked for 30 years as a drama teacher at Glossopdale Community College. Moving up to Head of drama. He was involved in countless school productions, and many of his students have moved on to professional roles in drama. He has been a E flat Bass player (Tuba) for many years he has played with top bands in the country and with different bands based locally. He has been a Peak Park Ranger for 15years. 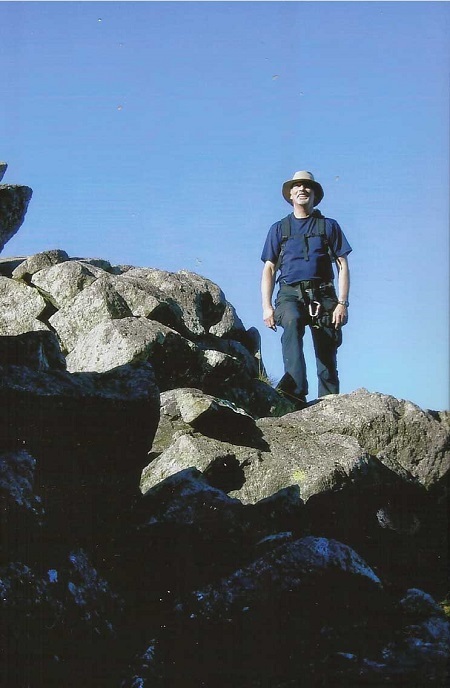 And has been a keen walker and climber, he has loved this area for its beautiful scenery since being a child and wanted to live here. He has four children and ten grandchildren. 2013 he had his life changing accident which left him tetraplegic. He wants to continue to make a positive contribution to the community. the all terrain wheelchair will enable him to continue with the ranger service including consulting on access for people with disabilities. He is also hoping to start a drama group for wheelchair users. 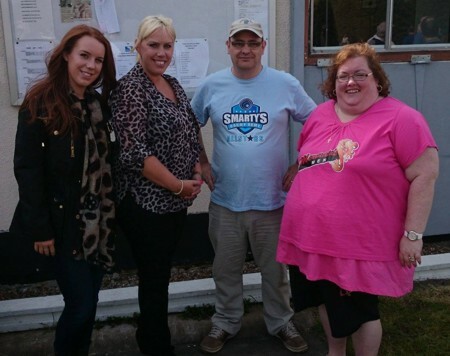 2014 - Terri's Trust (Supporting "When You Wish Upon a Star") - £1010.80 Raised! 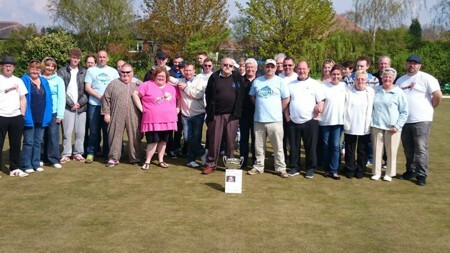 The 2014 event was held on a new date of 21st April (Easter Monday) because the bowling calendar has become so busy it is difficult to avoid clashes. Once again we are delighted and very grateful to have Perrigo behind us all the way. 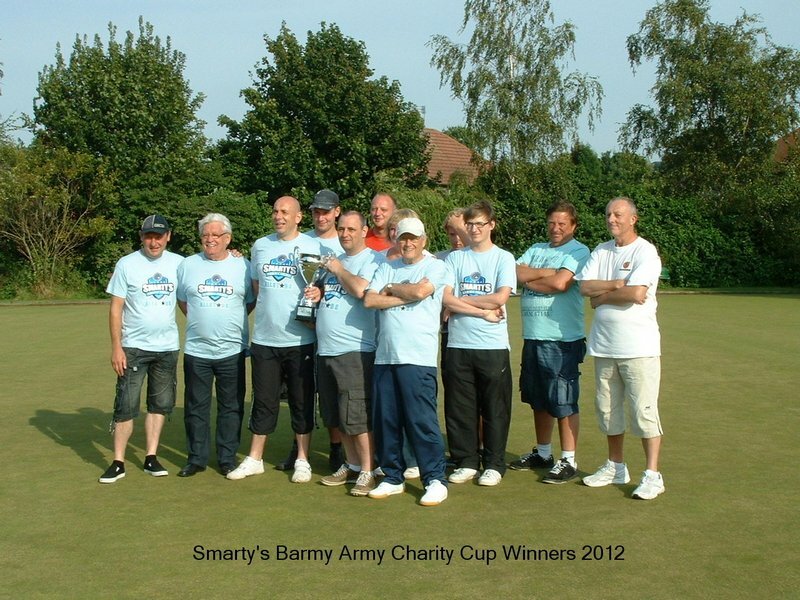 Their provision of the trophies and star prizes help ensure we get a good turn out each year. 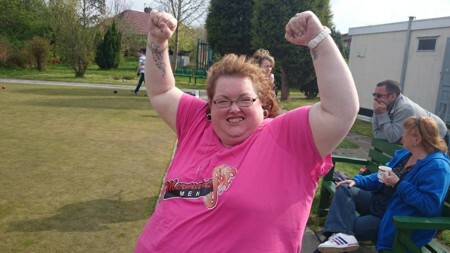 This is the story of Terri Noon from Offerton, Stockport. Suggested by Paul Hawker from Whaley Bridge who is a friend of Terri's family. Please take a moment to read Terri's story which has been taken form an article published in the Manchester Evening News last May when it would have been Terri's 21st birthday. The family of a teenager who lost a brave battle with cancer will mark her 21st birthday with a huge fundraising effort. 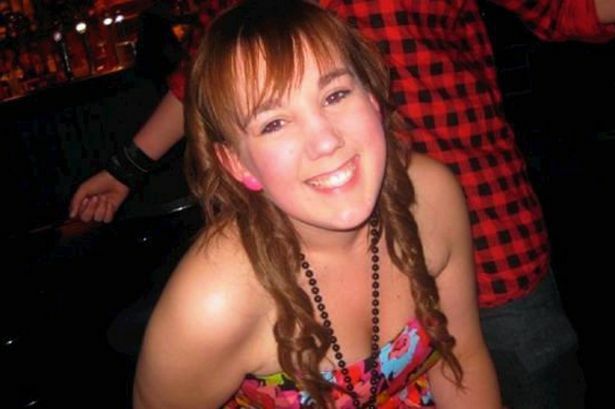 Terri Noon, of Offerton, would have celebrated the milestone this Saturday but was diagnosed with a brain tumour in 2009 and died, aged just 18, a year later. She had already beaten cancer twice having been diagnosed with leukaemia as a baby and also when she was six. 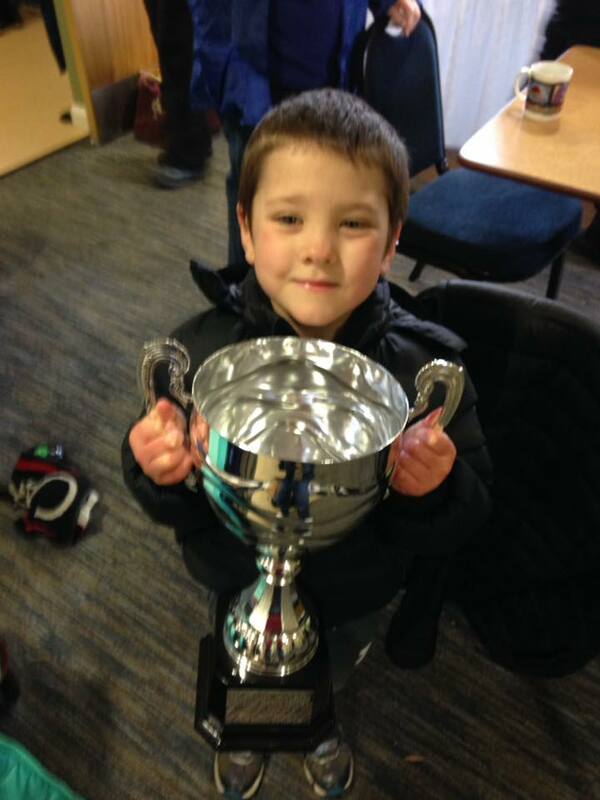 Now her family, with the help of their friends, have set a target of raising £21,000 for the Wish Upon a Star charity. The 2013 appeal aims to collect £1,000 for every year since Terri was born to help the charity grant wishes for seriously ill youngsters and their family. On Saturday there will be a balloon race in Terri’s honour starting from the Hallmark Hotel, in Handforth. Her mum Nicola, 42, said: “We decided this year we would try and raise money for Wish Upon a Star as they were with us all the way. We want them to be able to grant wishes to other families in our position and help create memories for them. "I think we have got to the stage where we feel able to do this, we didn’t want her 21st to just go by, we wanted it to mean something." However she added that they are still struggling with the loss of Terri. "It is still difficult, I wrote something for her justgiving page and suddenly I was in floods of tears," she said. "Terri was the most strong and courageous person I have ever known, she always had a smile on her face, was always giggling and brought a lot of happiness into our lives." Entry to the balloon race costs £5 and the owner of the one that travels the furthest within four weeks will win £250 – with a £50 'finder' reward too. 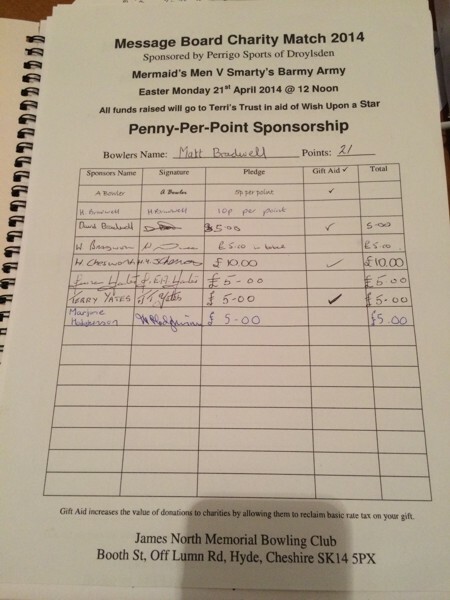 Other events have included a curry and karaoke night and an Easter fair, which has already raised £1,500. Terri attended Banks Lane Primary and Offerton School. She had completed a childcare course at Stockport College and had been about to start an apprenticeship when the tumour struck. Nicola added: "The target is £21,000 to match Terri's age. It will take a lot of doing but we have got fantastic friends who are helping." This was quite successful at our last event considering it was deployed quite late in the proceedings (on the day) so this year I'd like to approach it differently. 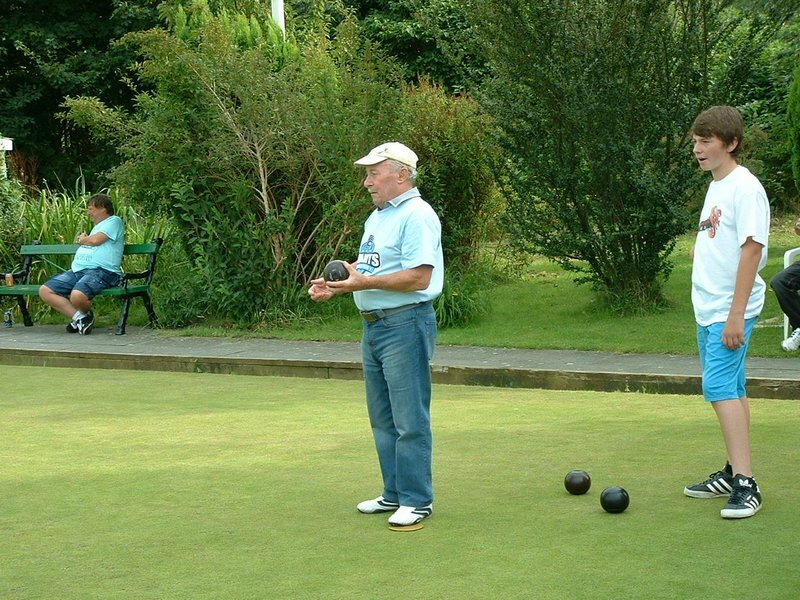 If you are taking part as a bowler this year, then please download the sponsorship form and ask your friends, workmates and family to sponsor you on a penny-per-point basis. It's simple; They pledge 1 penny for every point you score in your game on the day. If you win, the most it will cost them is 21p. 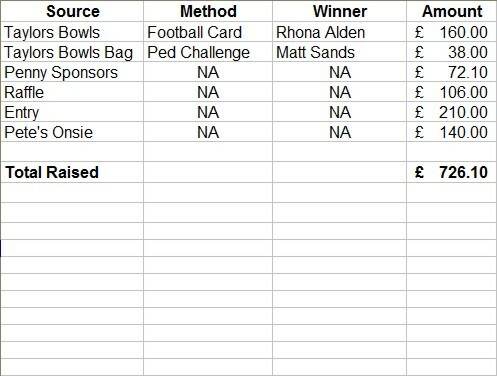 Get 10 people to sponsor you and it's worth £2.10 or get 10 people to sponsor you at 10p per point and you could personally contribute £21 to the charity and it would only cost your mates £2.10 each! 21 is a very apt number in the case of Terri's Trust and it just so happens to be the number we look to acheive when we bowl. Don't turn up with empty pockets on Easter Monday! There are very many great prizes to be won in our various money-spinners. We have star raffle prizes which are always quite valuable but they are not always won by simple and somewhat boring raffle tickets. 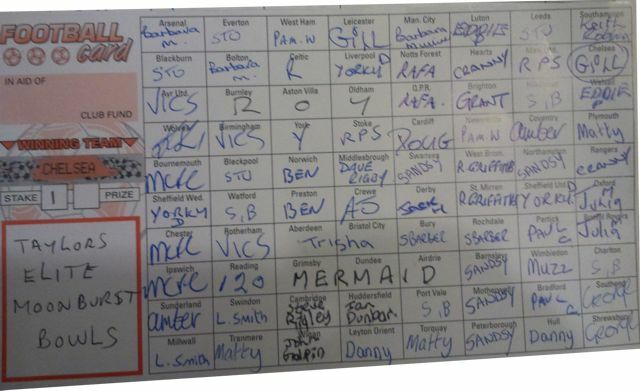 We have the "Pedometer Challenge", Football cards, "Nearest the bottom edge", and oh yeah, raffle tickets. You'll be contributing to a great cause and it's a pretty safe bet that you will enjoy your time at the Theatre of Nightmares. At our last event, we were very grateful to see our fund raised by a further £250 thanks to the generosity of United Utilities. 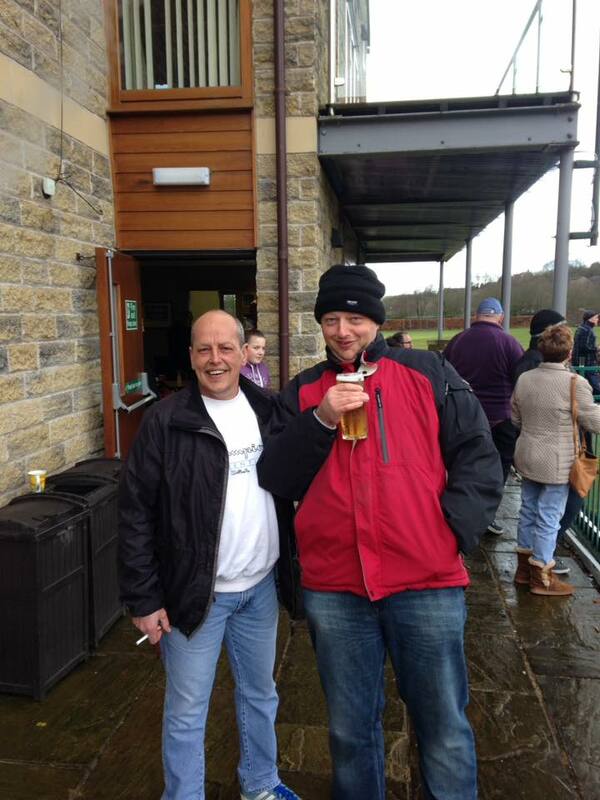 They donated £250 as a raised-funds match thanks to the request from Pete Conway. Maybe your boss will do the same but if not, at least you asked. The response we got from the justgiving webpage last year was fantastic. Donating through JustGiving is simple, fast and totally secure. Your details are safe with JustGiving – they’ll never sell them on or send unwanted emails. Once you donate, they’ll send your money directly to the charity and make sure Gift Aid is reclaimed on every eligible donation by a UK taxpayer. So it’s the most efficient way to donate - we raise more, whilst saving time and cutting costs for the charity. There is a JustGiving page created for Terri's Trust so please visit justgiving.com/TERRI-NOON and donate. 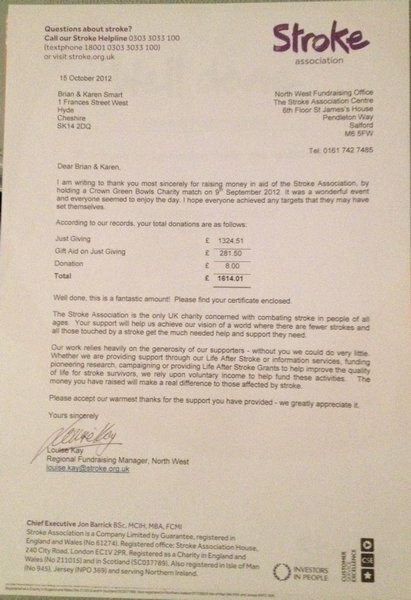 2012 - The Stroke Association - £1864.01 Raised! Every year an estimated 150,000 people in the UK have a stroke. That's one person every five minutes. Most people affected are over 65, but anyone can have a stroke, including children and even babies. Stroke changes lives. It can have a huge effect on you and your family. You will most likely want to know as much as you can about what practical, emotional and financial support is available. The Stroke Association can help you to understand what you can expect to happen when you have had a stroke, from emergency care to beginning your rehabilitation and recovery and returning to life after stroke. 14th March 2012 is a date that will haunt me forever! My wife Karen went to bed at 10pm the night before perfectly well and went off to sleep looking forward to another day of hard work at her beloved sandwich shop that is her pride and joy. At 2 am, our household was in complete turmoil as Karen had fallen out of bed after suffering a massive stroke. 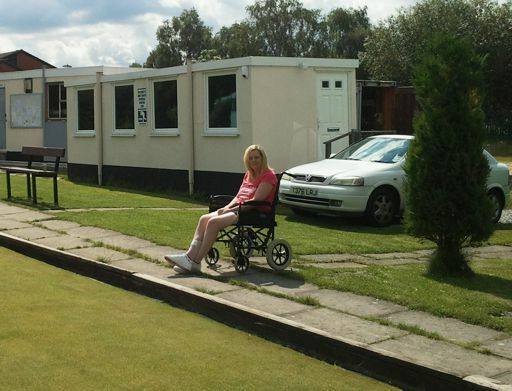 She was rushed to Salford Royal Hospital and underwent a series of CT scans to determine the severity of the stroke. Brain damage was inevitable but they were concerned with the building pressure. If the pressure got too great, their only option would be to operate in order to save her life. The next two days were critical, she was totally paralysed on her right side, she had lost the power of speech, her throat was paralysed, she had memory problems and very little understanding of the world around her. Furthermore, she was still in great danger of having another stroke. Once out of immediate danger, 3 full days, she had some speech back, some memory had returned and she had been able to swallow without choking. She was transferred to Tameside General to undergo 5 weeks of rehab involving speech, physio and cognitive (Brain training) therapy. Bringing her home on the 18th April was a very emotional but happy day, Even for our dog Taz. This picture of Karen was taken 5 months after she suffered this stroke and thankfully she is speaking perfectly well, her long term memory is better than mine and she is spending less and less time in her wheelchair and more and more time learning to walk again. It may be 5 months but as I write this piece, I still cannot believe it has happened, it just won't sink in. It was just 1 week before her 48th birthday! Our lives have been shattered by this event and words cannot describe the absolute fear, anxiety, emotion and heartbreak that a stroke can bring. I don't want anyone to go through this so I want to do everything I can to encourage people to understand the risks. Thanks to the Stroke Association and their TV adverts, I knew exactly what to do and will be forever grateful to them. Many of us have seen the F.A.S.T. adverts on TV warning of the signs of a stroke and knowing how to recognise those signs and what action to take. F.A.S.T. stands for Face, Arms, Speech, Time to dial 999. Thanks to those adverts, I knew without hesitation to dial 999 and get an ambulance. Of course, the Stroke Association are more than just a TV advert and this year, they will have their volunteers at the match to help us all understand stroke and how we can minimize the risk to ourselves and avoid the hell that Karen and our family going through. It's ironic that I was actually developing this charity match web page on the evening of 13th March and at that point had not made my mind up which charity I would be supporting this year. My mind was very quickly made up for me although organising the event was the least of my concerns for the 5 weeks that Karen spent in hospital. On the day, there will be free blood pressure testing and advice from the Stroke Association staff along with leaflets and booklets designed to raise the awareness to the risks. Please show your support for this event and please take advantage of the wealth of information and advice that will be available. 2011 - Christies and When You Wish Upon a Star - £500 raised! 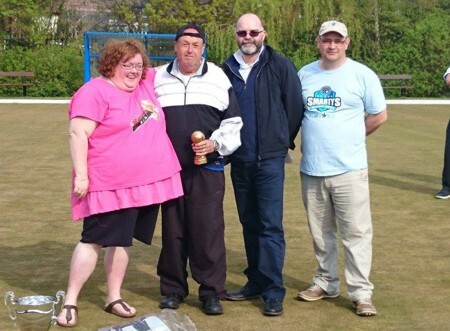 Although Michelle Conway has successfully organised charity bowls matches for many years, 2011 was the first time the match was based around the message boards of this website and that of the Stockport Bowls website developed by Michelle's husband Pete. 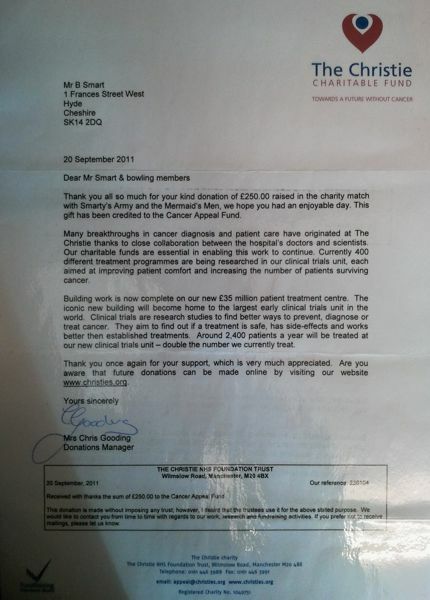 In 2011, the total fund raised on the day was just short of £500 and the worthwhile charities selected to recieve 50% each were When You Wish Upon a Star and The Christie NHS Foundation Trust. 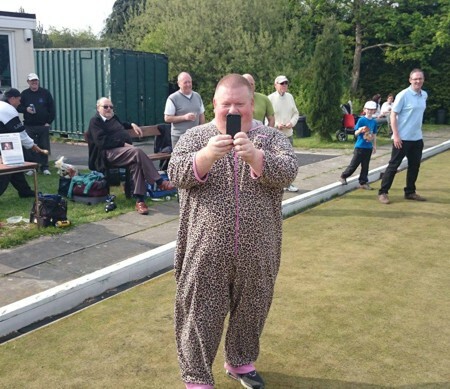 When You Wish Upon a Star was particularly relevant to the members of North's bowling club because we had had the pleasure of watching one of our Junior members, Dominic Scanlon take up bowling with his Grandma Rhona. Sadly Dominic passed away but not before When you wish upon a star had helped him realize some of his dreams. Michelle didn't have to think long about her choice of charity either. Michelle's dad had been under the care of Christies Hospital for treatment for cancer and with the help and dedication from the nurses and staff at the hospital, he was able to enjoy the 2011 event with the rest of us. Here is what Michelle has to say on the subject. "The charity game is a real passion of mine, seeing how it's developed from struggling to get 10 a side together to the 18+aside that it was last year really is just great to see, something that never ceases to amaze me is how generous people are with their time and money, even when it's for charities that they maybe know not that much about. In the first few years, we gave the money to St Annes Hospice, which I've had some dealings with as my Grandad had spent a lot of his later life in there giving my Nanna some restbite, but it all changed for me last year after my dad was diagnosed with cancer, having seen the work Christies do from the specialists, nurses, the radiographer, the guy who brought my dad his dinner everyday, the old ladies doing the tea in the cafe considering what everyone must deal with on a daily basis I couldn't believe what a positive place it was, and for little old me to have the chance to give something back for the great care they gave my dad it made the event last year even more important. Talking of my dad, he's doing great he'll need check ups for a good while and always have to be careful in the sun but the prognosis is rosie, which is just as well as he's just celebrated his 65th birthday and his retirment..... so my hopes for the charity game this year is, well to win it first of all I may have to call in some big guns, but just for it to be a continued succsess and for everyones continued support, because for those who do take part I really can't thank them enough "
It just remains to announce now who the winners of the 2011 event were. 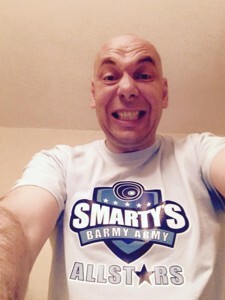 Well of course it was Smarty's Barmy Army!!!! 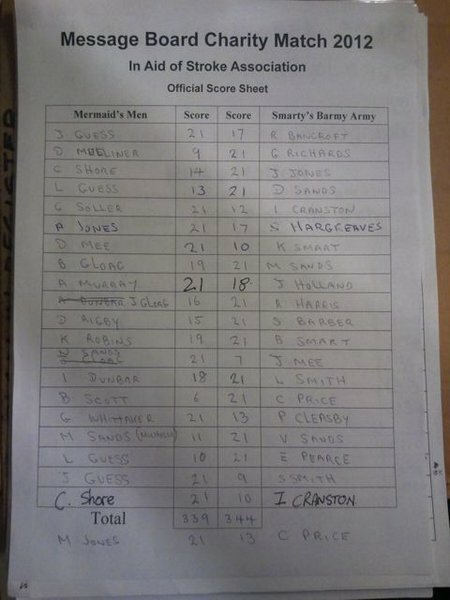 The proof can be seen in our makeshift scoresheet on the left. We will have a proper one for 2012! Victory on the day came twice as it happens because after we had won the match, Mermaid excersised her right to play her joker and challenge the winners to a further mini-match of tripples only to fall short of victory once again. We are very grateful to Perrigo Sports of Droylsden - They have been instrumental in the success of this event and kindly provide the winners trophy and raffle prizes. Emerging in the late 19th century as wooden dart and dartboard manufacturers, H.Perrigo offers 5 generations of experience in the Darts business. Perrigo developed the Manchester Log-End and ManLon dartboards and helped spearhead the development of brass darts and later the tungsten revolution. After more than 100 years of serving the darts community, Perrigo took their services global with the launch, in 1996, of their darts specialist web site 9Dart.com. This proved so successful that our customer base extended to over 130 countries and the foundation of business partnerships in Europe, North America and the Far East. Our retail darts shop is arguably the oldest established specialist darts shop in the world. 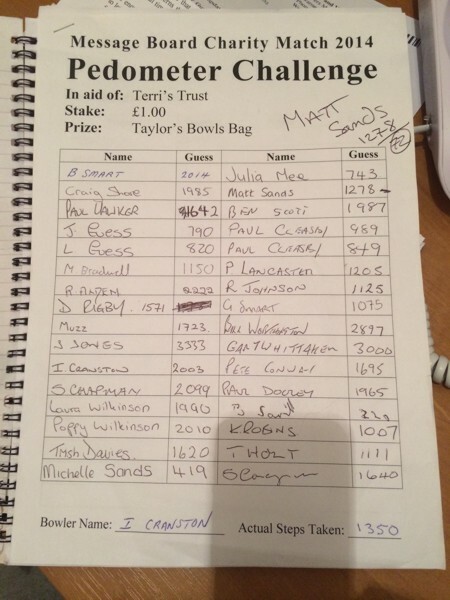 We are pleased to provide a top service to our customers, be they total novices or Professional Darts World Champions (we can count five amongst the list of the darting elite). Customers are most welcome to browse our full range of darts equipment, we have thousands of accessories to choose from, as well as a full wall of dartboards and hundreds of sets of darts ready to try out in our dart practice area. A dart re-pointing service is available on site. 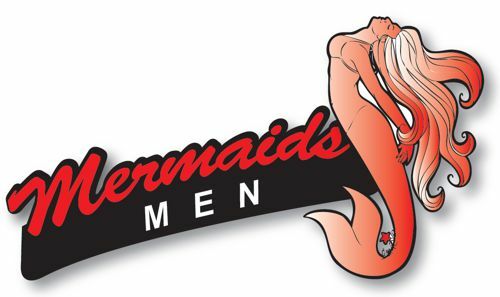 Our staff have years of experience in the game and have helped thousands of dart players find their ideal sets and are always happy to help with darts equipment and technical advice. Since moving to our current premises in 2003, we have expanded our product range to include a selection of quality Pool and Snooker Cues and accessories for all club and pub playing needs. 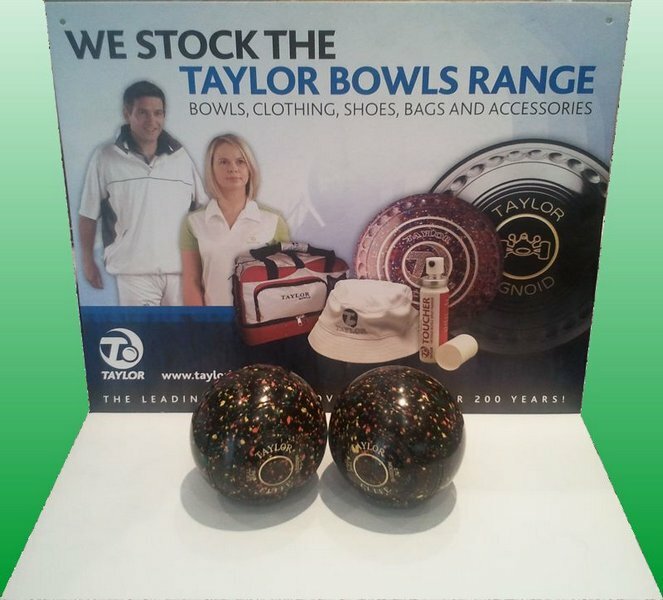 Our bowls section is currently dedicated to Taylor Bowls products and we can provide everything from clothing, bowls bags, grip aids, polishes and both flat and crown green bowls. 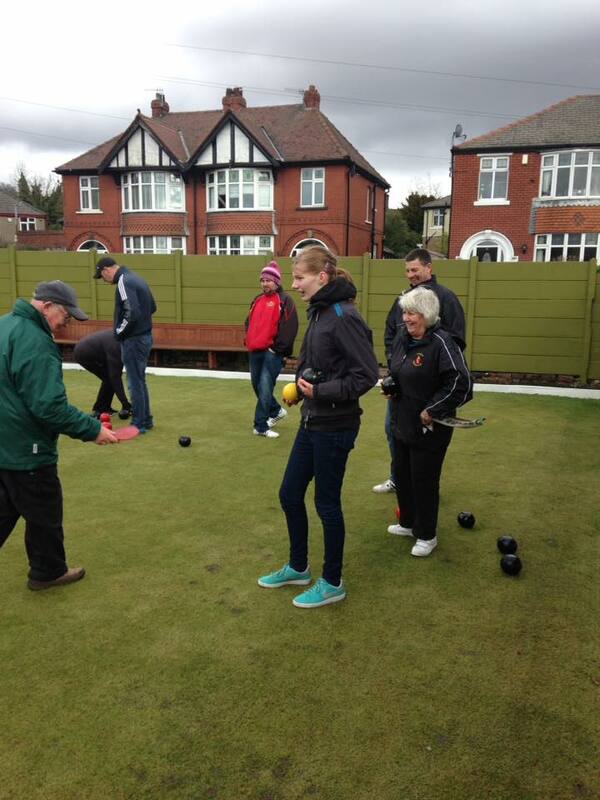 We support various clubs and competitions throughout the area and are always on hand to help promote the game. Perrigo’s also offers a choice of quality playing cards, cribbage boards and a range of fund raising products, from Football Name scratch cards to Bingo tickets and electronic machines. 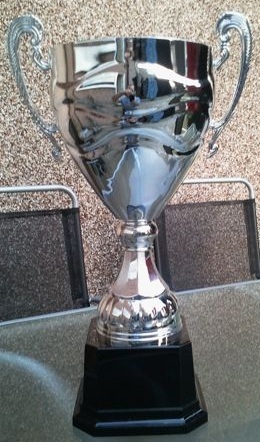 To complete our services, we also offer customers a full trophy range to suit all budgets. We have a selection of sports awards, cups and medals on display and have a free brochure available, which offers thousands of items to choose from. We provide an in house engraving service and specialise in both metal and glass engraving. 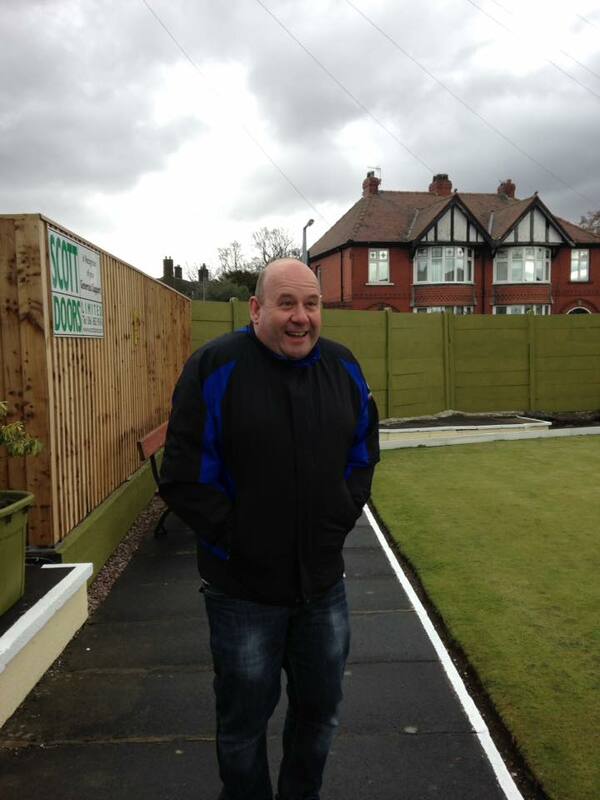 Nigel from Periggo comments, "We first became aware of bowls in the area via the James North Memorial Bowling Club web site. The site promoted the game in a dynamic and pro active manner. 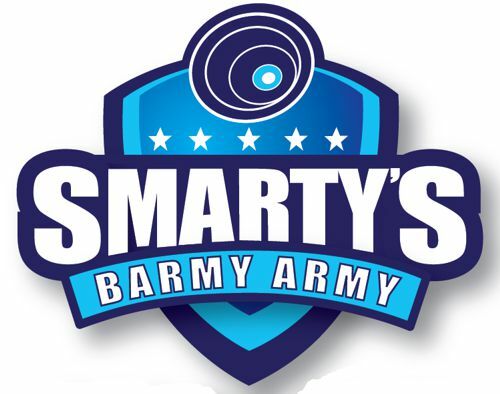 The belief in putting the game first appealed to us and after speaking with the JNMBC stalwart Brian Smart, we decided to commit ourselves to support competitions and leagues, where we could. As a consequence, we at Perrigo are very happy to sponsor the two fantastic ‘bookend’ tournaments."